Hotel, restaurant, cruise and flight reviews. A travel blog for inquisitive minds. 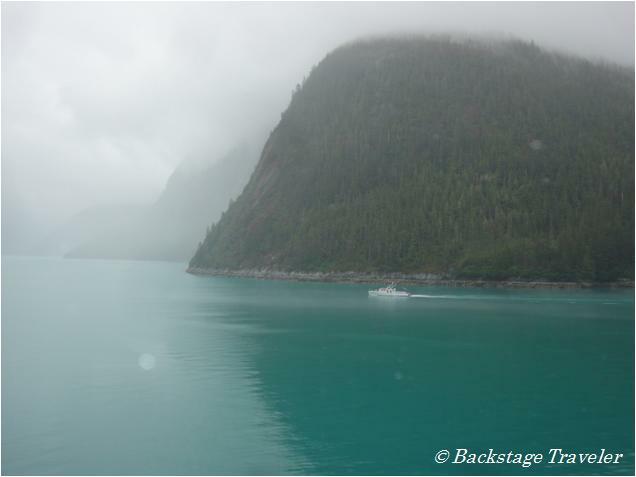 It was a misty, damp morning (July 18, 2011) on our Alaskan Inside Passage cruise when our ship, Holland America Line's Zuiderdam, entered Tracy Arm Fjord, one of two fjords making up Tracy Arm-Ford's Terror Wilderness (the other is Endicott Arm). 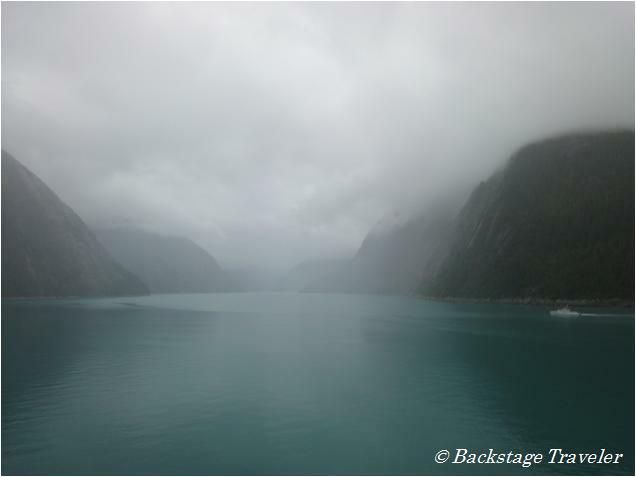 Each fjord is over 30 miles long, and have tidewater glaciers at their heads. 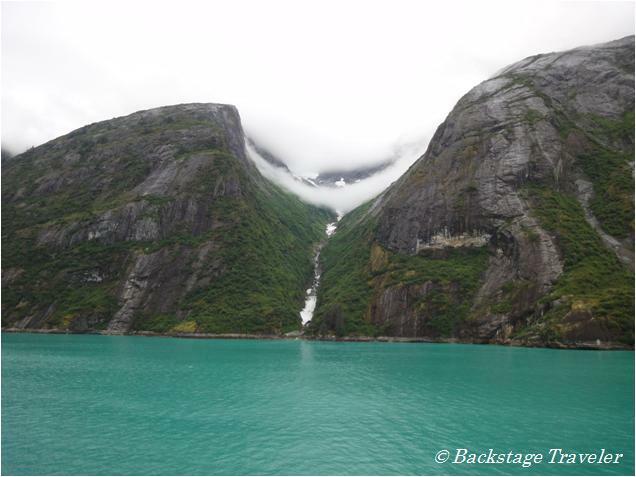 We did not make it far enough into the fjord to see the twin Sawyer Glaciers, but we did have ample time to enjoy the beautiful, glacier-carved cliffs rising out of the water dramatically and towering above us on both sides of the narrow channel. 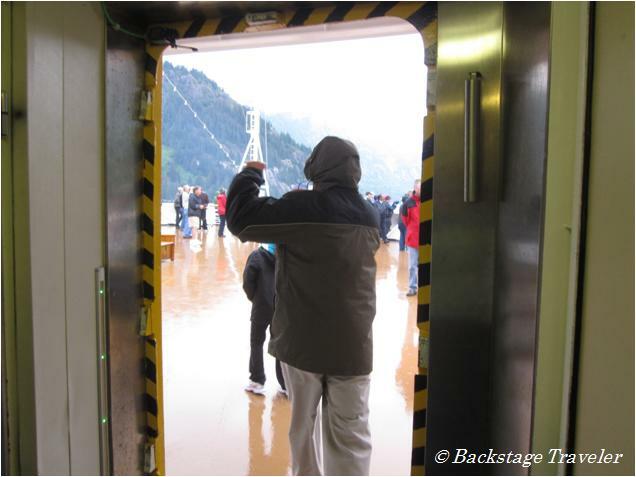 The captain had the door to the ship's bow opened to allow passengers to enjoy the scenery from this unique vantage point, and even though there was a light drizzle and the air was cool, many of us ventured outside to take in the 180 degree view of the fjord. 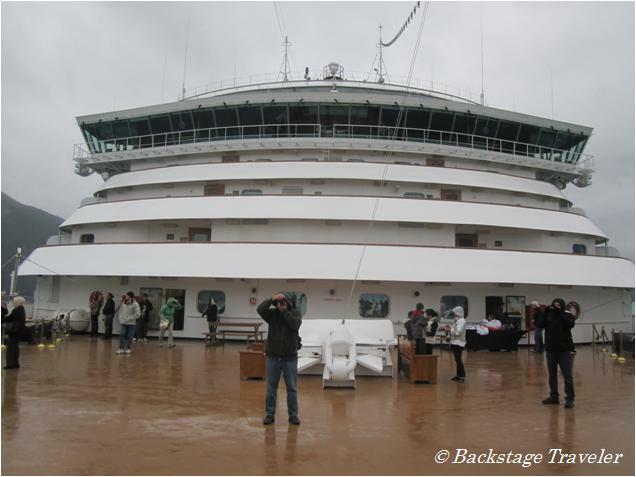 Outside on deck, crew members provided hot chocolate and hot coffee, but strangely, no cups. Those wishing to warm up with a hot beverage had to first purchase a plastic souvenir travel coffee mug. Passengers wishing to stay dry and warm inside had the option of similar views through floor-to-ceiling windows in the Crow's Nest. 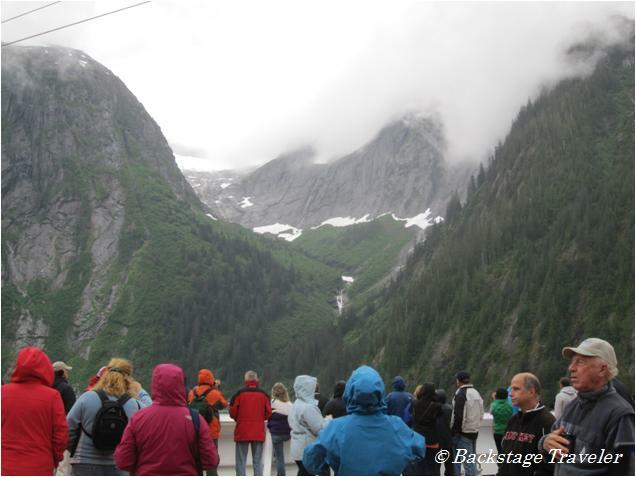 The Zuiderdam slowly cruised along Tracy Arm Fjord for approximately two and a half hours before regaining speed for the trip to Juneau, the port of the day (located 72 km north of Tracy Arm Fjord). 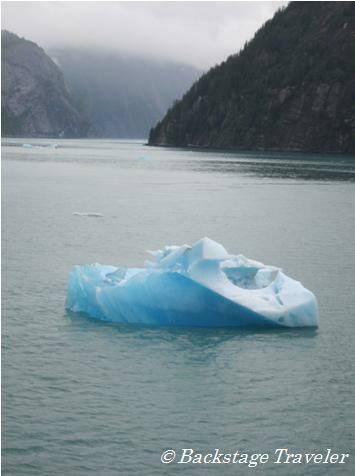 We passed miles of rugged mountains, steep cliffs and cascading waterfalls until we reached a beautiful blue iceberg floating in the green water, offering just a small taste of the centuries-old glaciers that lay ahead of us. 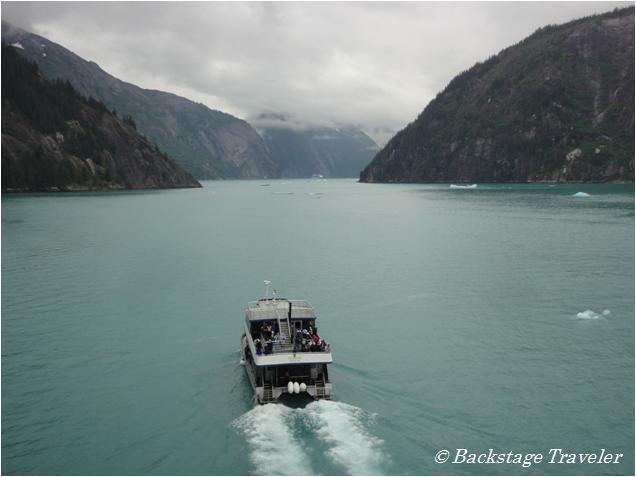 At this point, a smaller excursion boat joined us to pick up passengers and take them further inside the fjord. 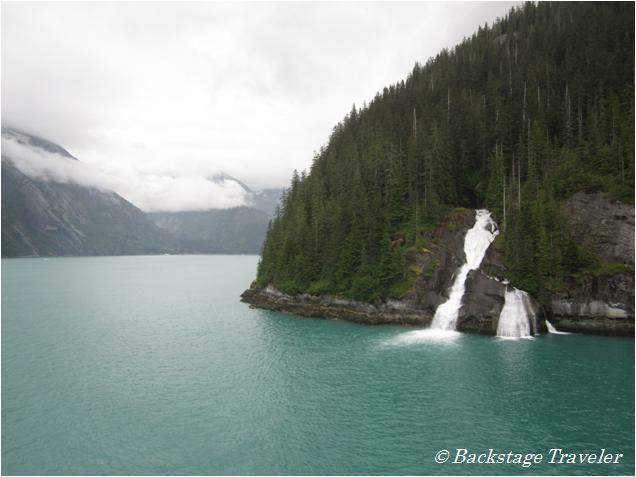 The Zuiderdam slowly turned around and headed out, pausing in front of a particularly scenic waterfall before picking up speed and heading to Juneau. I love to travel, both alone and with my family. 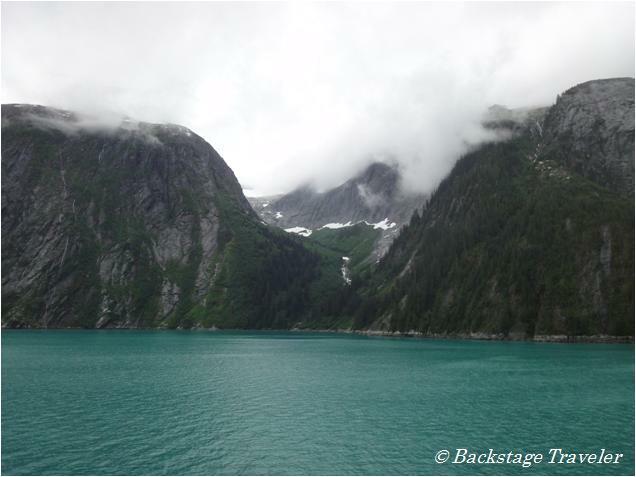 This blog reports on recent visits and interesting experiences.